Welcome to the Belmont website. We publish and distribute most of the works of Arnold Schoenberg and we are happy to assist you in obtaining information on any of his works, even if they are available from another publisher. You may use our search engine to quickly find information regarding any work. You can also go directly to our catalog. 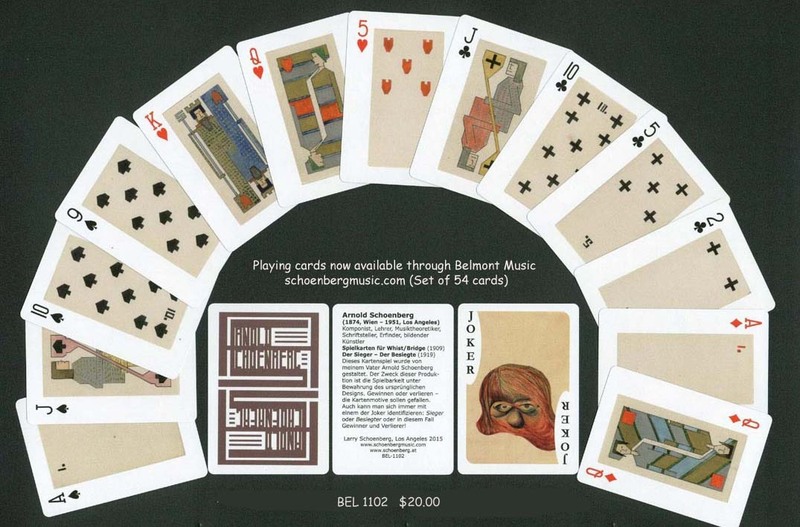 This home page includes embedded links to Schoenberg performances through InstantEncore.com, related YouTube videos plus current news. 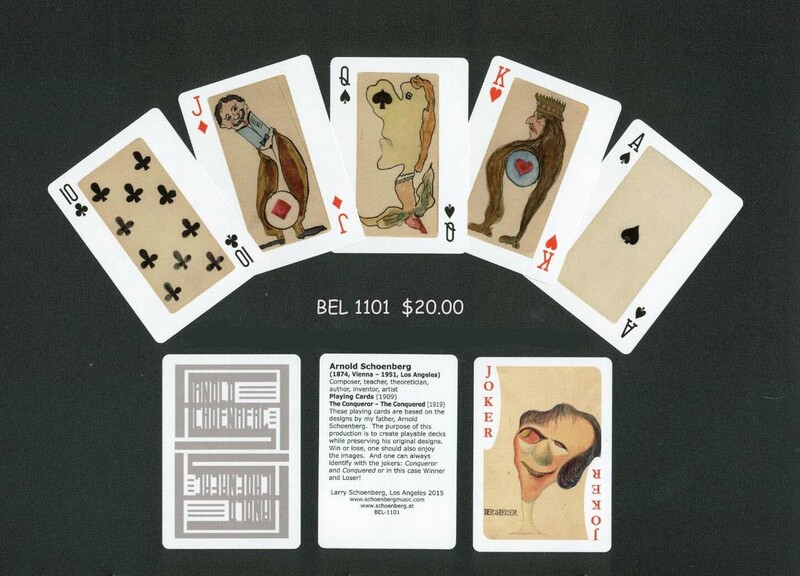 NOW AVAILABLE - ARNOLD SCHOENBERG PLAYING CARDS. THERE ARE TWO DIFFERENT SETS ($20 EACH DECK). THEY ARE MEANT TO BE USED FOR PLAYING. Please feel free to contact us regarding any information that you might wish to include on this site or to suggest items that you feel should be included. We welcome any comments. Copyright © 2005-2017 BELMONT MUSIC PUBLISHERS. All Rights Reserved.